I have always loved Valentine's Day since I was little and I credit that a lot to my sweet Daddy who always bought me roses every year! Plus pink has always been my favorite color so of course I love the holiday where pink (and red!) take center stage. Now that I'm older I love Valentine's Day just as much and always am excited for a date night with my forever Valentine, my hubby!! 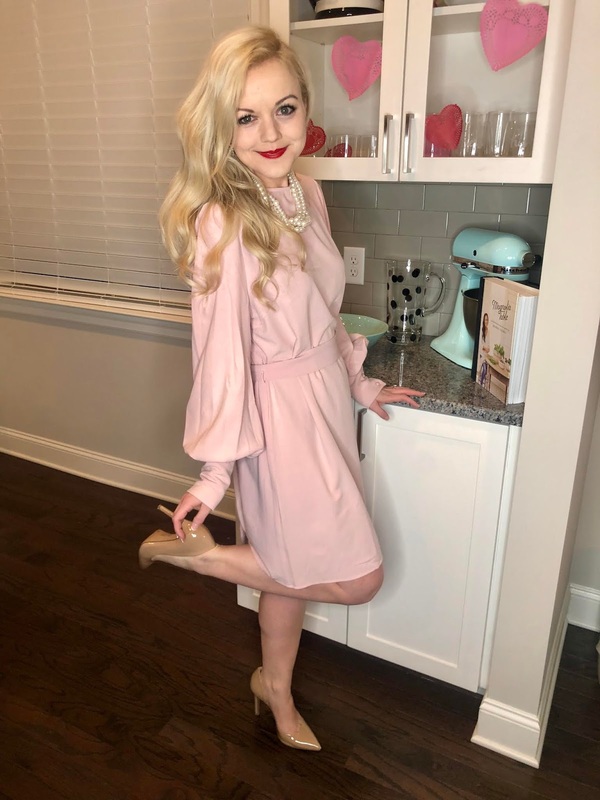 This year, I was so excited when SheIn reached out to me to collaborate to style some Valentine's Day looks. If you have never ordered from SheIn, I encourage you to do so, like, NOW! They have THE cutest clothes at the best prices. And the quality is just as good!!! You will not be disappointed. The first look I styled could be a more casual date night look. I love the feminine scallop hem of the skirt & that top would be SO cute with jeans as well. The second look could be worn for a nice dinner out. I am OBSESSED with this jumper!!! I knew when I saw it online I had to have it! Just like the little black dress (LBD), I believe every girl needs a little black jumper. It's such a chic alternative to a LBD. Finally, the pink dress is so feminine and would make for a lovely outfit for a dinner date and a movie on Valentine's! I love the soft color and the button detailing on the sleeves is SO cute. It reminded me something Kate Middleton would style. I love how classy this dress is! I hope this has convinced you to check out SheIn. Be sure to use my code: SH4204 for 15% off your purchase (no limitation!) until 3/31/19!!!! 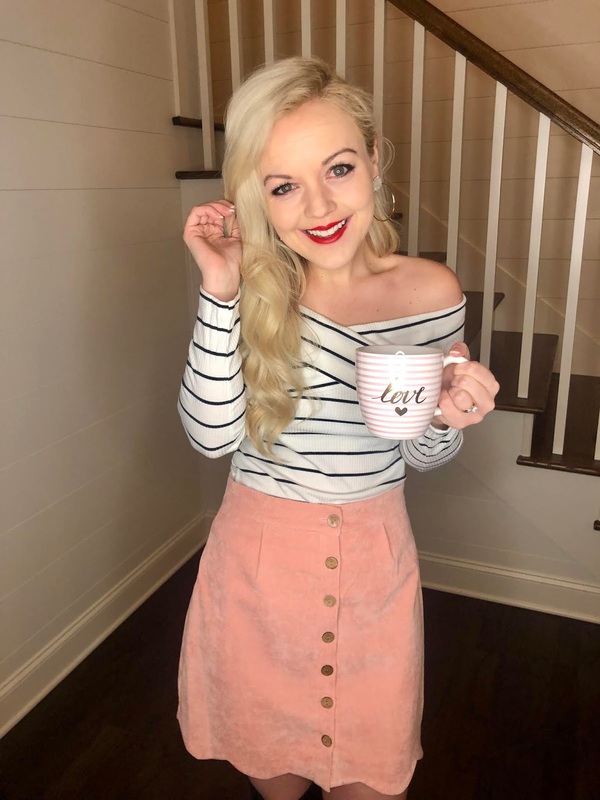 I seriously love their site and am always finding the cutest outfits from there! Let me know what you get with the coupon code, and also let me know which of these looks is your favorite! Be sure to follow me over on Instagram HERE to keep up with my daily looks! Until next time, Happy Valentine's Day! Thank you to SheIn for sponsoring today's post! As always, all thoughts and opinions are my own. I am SO excited to be sharing this look with y'all on the blog! If you follow me over on Instagram (you can by clicking here), you have already seen a little sneak peek of this look. It seriously makes me feel just like Audrey Hepburn every time I wear this cape! 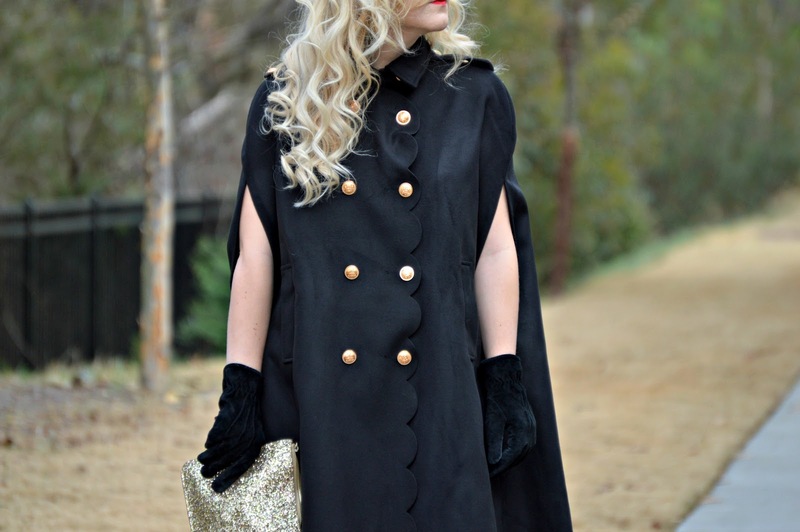 You can also "style down" this cape by even pairing it with jeans and boots. I love how versatile it is. Oh, not to mention, it is also the perfect amount of warmth for a milder winter day! Thank you SO much for reading, dolls! This week is a busy one for me as I am starting a new job. Keep up with me over on Instagram as I will try to regularly post there this week as much as possible! I hope y'all have a wonderfully blessed week. The ($10!!!!) Leopard Print Dress! I hope everyone had a great weekend! Hubby & I enjoyed some relaxation & spent time with family (and each other!). It is nice to just take it easy & be together. 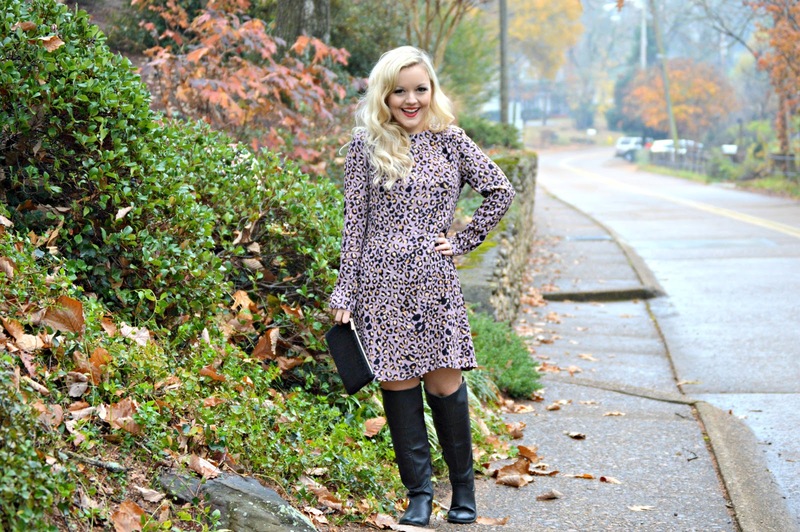 I'm going to make this a quick post tonight, but I just wanted to share with y'all one of my favorite purchases this season: this purple leopard print dress! I bought this on my H&M haul a couple of months ago, and it has proven to be one of my favorite dresses in my closet. When I saw it in the store, I thought...."oh, it's leopard print...but even better, it's PURPLE leopard print!!" lol. I mean needless to say, I do not have many (i.e. ANY) purple leopard print in my closet. I love that it's a soft shade and in being pastel, it does not cross the line into tacky! This dress is light-weight so would be perfect to layer on a chilly day with a sweater or blazer on top. Since it's a thinner material, I am actually planning on incorporating this into my NP wardrobe & style it with my white coat!!! Oh...and the best part of all??? It is currently on sale for TEN dollars!!! Woohoo! Be sure to click the link in the picture caption or in the widget to shop it above! Thank you SO incredibly much for reading, dolls!